Okay, so I didn’t really spend a lot of time outside this weekend enjoying the beautiful weather. Perhaps I’ll regret that, but I still got a ton of random stuff done. I made peroshkis! I got an ottoman! I planted new flowers! I finally made fan covers! I re-wired a lamp! Watched a bunch of cheesy movies, got a ton of boring-but-important errands done and caught up with some new friends. Not a bad way to spend the first real nice weekend. i was going to get crafty…. some beadwork, originally uploaded by ducksRfriends. I had a wonderfully productive weekend, despite this stupid cold. Friday had some beer-week bar hopping. I got myself a cool shirt with a hippo on it from Riverhorse (good brewing company in Lambertville, NJ). It took me a while to go up to the guy and ask for one, it wasn’t like they were giving them out, I just saw that the bartender had one and though it was really cute. I’m glad I actually talked to the guy, cause he gave me a shirt, no problem! And then we got in an awkward conversation about baking and nutella, and I hightailed it back to my side of the bar. Saturday was an editing marathon, again. I’m chipping away at the doc that I’m working on. Progress is slow but steady. Later, Angie came over and I showed her how to use her sewing machine. I also finished the fringe belt to send off to Alexis, altered a shirt to be smaller and started on the coin bra I’m making. Whew! Sunday, editing again. But also some fighting with my iTunes- I finally got a little self-powered hard drive to put my extra music on, and had to figure out how to get it to work as a shared user library…. Went grocery shopping, edited for a few hours, worked more on the coin bra and finally cast on the ties of the Hew wrap I’m working on. Also made 4 new flower/feather combs, three as gifts, one for me. Packaged off all the things I need to send out in the mail today. 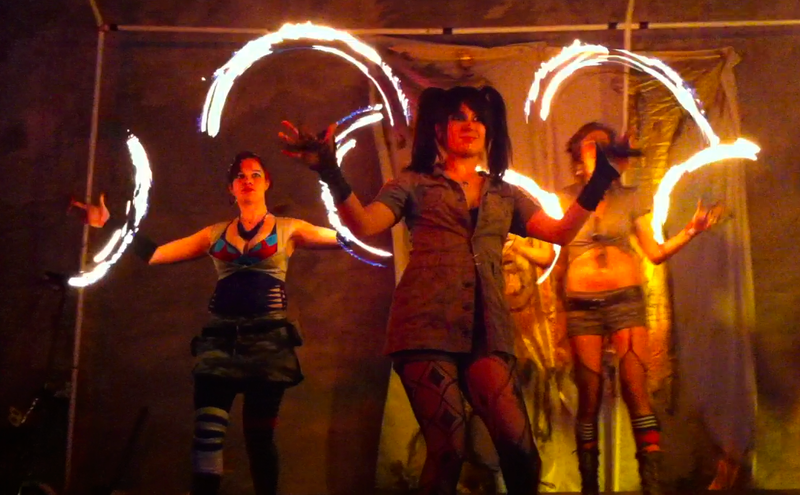 Took nyquil to kill my cold, woke up in a shaky haze this morning… but what a weekend! Super productive weekend! Got errands done, some Christmas shopping finished, visited a museum, and worked on my sewing projects. I’ve had a choli top for ages that has needed a bottom band and ties… yup, got that checked off. 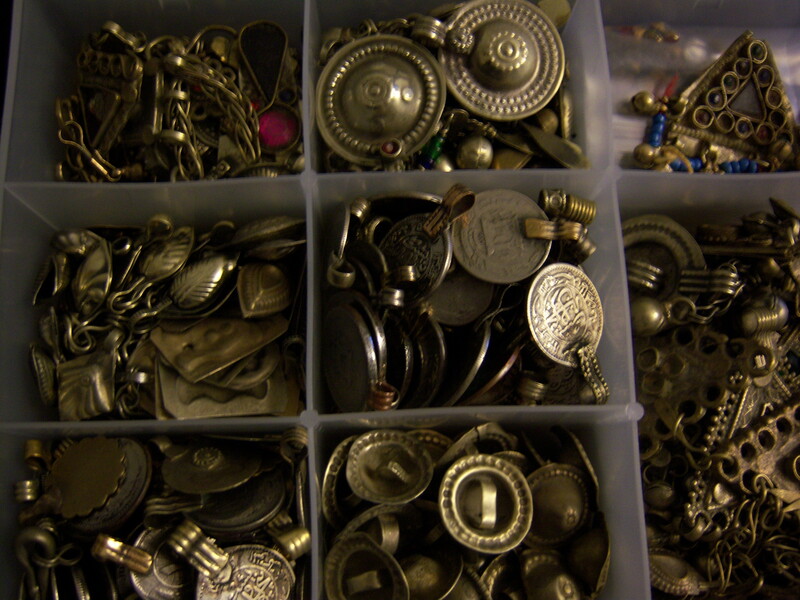 A few weeks ago I ordered a whole bunch of pieces for bellydance projects-to-come… variety bags of coins and buttons and ornaments. 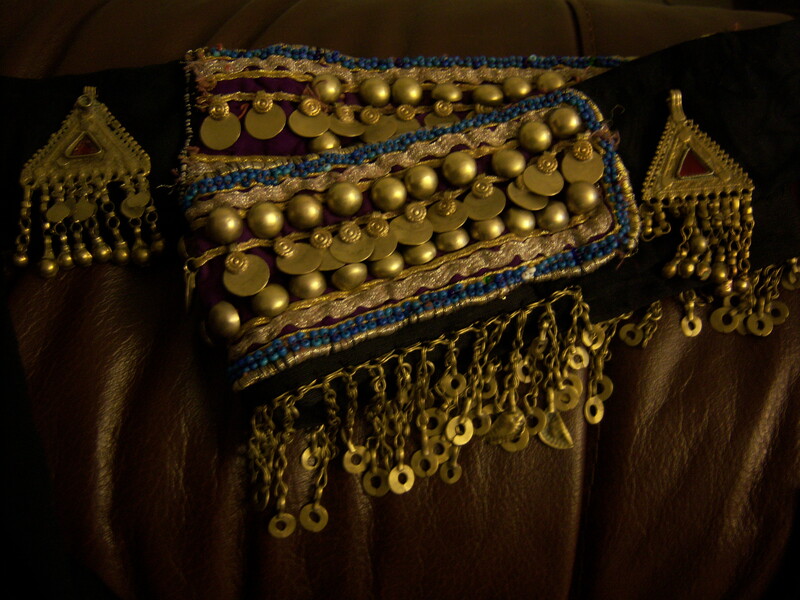 Combined that with the belt piece that I got at Rakassah that needed some repairs… a new belt for dance!